SendPyar will be hosting the 2017- Bollywood Theme Diwali Party on 27th October 2017.- It’s a bollywood party event for the full family. Partying with your friends and getting to enjoy with the full family. Portion of every ticket sold will be donated to www.careindia.org CARE INDIA.supports, millions of marginalised and disadvantaged women and girls in India, especially fromthe Dalit and Tribal communities who suffer extreme poverty and social exclusion.CARE India in FY 14 has helped 3.80 crore people to access quality healthcare services, over 1 lakh women were provided with livelihood opportunities, and 3.91 lakh children went to school. 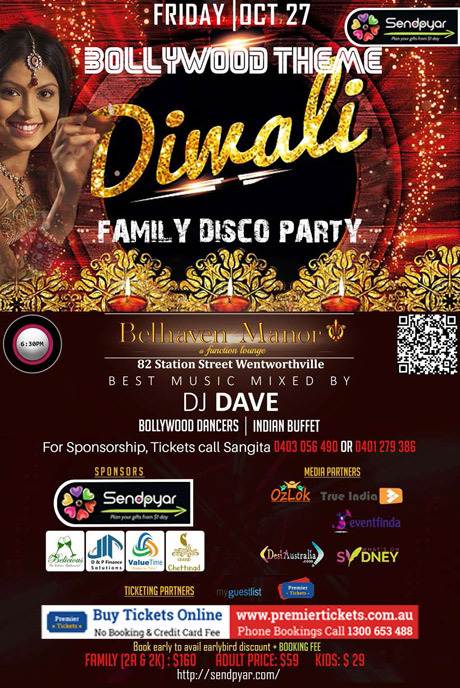 This multicultural event is designed to have a diwaIi celebration with a full vegetarian & non-vegetartain indian buffet and non stop entertainment with bollywood dancers, kids dancing to bolywood tunes and more. Please bring print out of ticket & food coupons confirmation with you. 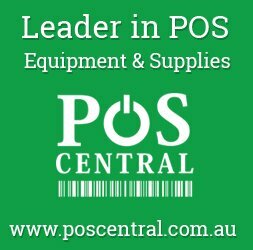 Premier Tickets Australia is proud to be the online ticketing partner for SendPyar 2017- Bollywood Theme Diwali Party @ Belhaven Manor Function Center @ Friday, October 27, 2017.